The lesson of his fall during World War II has never been more relevant than it is right now. Patton was a triumphant warrior who warned, loudly and insistently, that leaving Eastern Europe in Soviet hands, despite Stalin's peaceful pledges, would betray an American promise. The Cold War that followed proved him right. The facts of Patton's life are a warning shot from history. 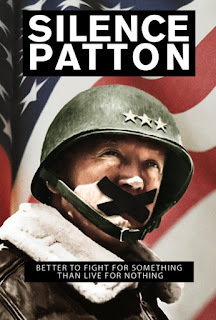 "Silence Patton: The First Victim of the Cold War" exposes why the US's most successful general was held back with his troops when victory in Europe was within his grasp. Why was he ordered to let the Red Army take Berlin? And was his untimely death the result of more than just an auto accident? 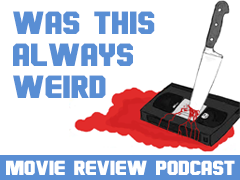 The film explores these haunting questions while exposing a complex man. Not merely the granite-hard general but also a spiritual warrior, with political foresight that rivalled his combat expertise. Orlando's skill as a documentarian breaks open biography, he says he does not promote conspiracy but challenges convention. A key commentator and consultant on the film is Dr. Paul Kengor, whose new book on the Cold War, A Pope and A President, is a best seller and key source for Orlando's next film, The Divine Plan. The film also features the highly respected military historian Dr. Victor Davis Hanson. On-camera insights and original artwork help construct Orlando's profile of the visionary general who was silenced in his time but is an essential voice for today.